High Quality Content by WIKIPEDIA articles! 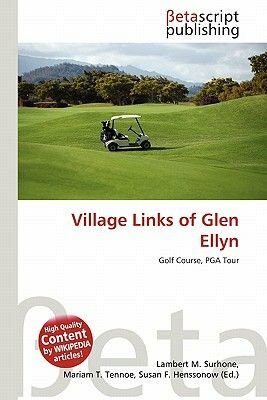 The Village Links of Glen Ellyn is a public golf course located in Glen Ellyn, Illinois, a suburb of Chicago. The golf course was founded in 1967, the first publicly owned 18-hole golf course in DuPage County, Illinois. It has long been recognized as one of the top golf courses in the Chicago area. It was the annual host course for the PGA Tour's Western Open General Qualifying, having held that event virtually every year from 1980 through 2006. It has hosted many other high level golf events including the 1986 Illinois Open and multiple State Match Play Championships. It has hosted the 36-hole U.S. Open Sectional Qualifying four times (1985, 1991, 1995 and 2005). In 2005 it was the only golf course in the United States to host both a PGA Tour event qualifying and a U.S. Open Sectional Qualifying.